CINCINNATI – Mayfield Brain & Spine is expanding its role in national clinical data registries that seek to fine-tune neurosurgical care and enhance patients' lives. The registries are developed and managed by the NeuroPoint Alliance, a non-profit organization created by the American Association of Neurological Surgeons (AANS). The NeuroPoint Alliance's mission is to "improve the quality of neurosurgical care through the acquisition, analysis and reporting of clinical data via registries and related studies." Towards this end, it seeks to meet the quality improvement and research needs of individual neurosurgeons and neurosurgical practices, national organizations, health care plans, the biomedical industry, and government agencies. The NeuroPoint Alliance's key suite of registries, the Quality Outcomes Database (QOD), establishes benchmarks and generates data about the quality of spine and neurovascular care. In addition to participating in these registries, Mayfield was one of eight U.S. institutions to take part in a brain tumor pilot QOD that began in January 2019. This newest QOD will officially launch this month. Mayfield also participates in the national Stereotactic Radiosurgery (SRS) registry, developed by the AANS in 2015. 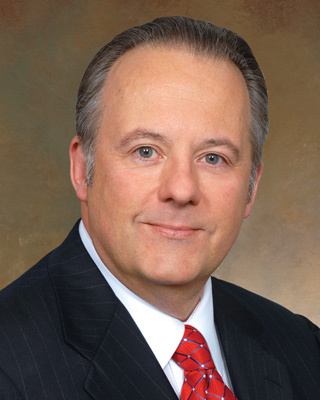 Andrew Ringer, MD, Mayfield Chairman and a neurovascular specialist, said Mayfield's growing involvement in the QOD reflects Mayfield's long-term commitment to excellence, patient satisfaction, and outcomes transparency. "Our inclusion in four quality outcomes databases, as well as the brain tumor pilot and the SRS registry, speaks volumes about Mayfield's approach to documenting outcomes and sharing data," said Dr. Ringer, who also serves as Chief of Neurosciences for TriHealth. "We are proud to have been among the first in the United States to help establish the brain tumor database and to participate in the first phases of the SRS registry." The NPA Board of Directors recently announced the appointment of a new SRS Registry Board of Directors. Ronald Warnick, MD, Mayfield neurosurgeon and Co-Director of the Gamma Knife Center at The Jewish Hospital – Mercy Health, is one of five specialists named to the SRS board for a three-year term. Dr. Warnick, who has performed 3,500 radiosurgery procedures during his career, serves on the Journal of Neuro-Oncology editorial board. Stereotactic radiosurgery of the brain involves the delivery of high-dose, precisely targeted beams of radiation over one to five sessions. The NeuroPoint Alliance registry for radiosurgery is one of two radiosurgery registries in which Mayfield participates. In 2016 Mayfield joined the International Radiosurgery Research Foundation (IRRF), a consortium of academic and clinical centers of excellence that perform brain stereotactic radiosurgery with the Leksell Gamma Knife®. The consortium's 32 centers are committed to performing clinical research that will establish best practices and lead to improved outcomes for patients. Michele Anderson, Project Manager for the NeuroPoint Alliance, expressed appreciation for Mayfield's broad participation. "We are truly grateful to Mayfield for its interest in, and support of, these quality programs," she said. Mayfield Brain & Spine is the full-service patient care provider of the Mayfield Clinic, one of the nation's leading physician organizations for neurosurgical treatment, education, and research. With more than 20 specialists in neurosurgery, interventional neuroradiology, physical medicine and rehabilitation, pain management, and physical therapy, Mayfield Brain & Spine treats 25,000 patients from more than 30 states in a typical year. Mayfield physicians specialize in the treatment of back and neck pain, sciatica, Parkinson's disease, essential tremor, NPH, epilepsy, brain and spinal tumors, stroke, moyamoya, brain aneurysms, Chiari malformation, scoliosis, kyphosis, facial pain, facial twitch, trauma, concussion, spinal cord injury, and carpal tunnel. As leading innovators in their field, Mayfield physicians have pioneered surgical procedures and instrumentation that have revolutionized the medical art of neurosurgery for spinal diseases and disorders, brain tumors, and neurovascular diseases and disorders. Ronald Warnick, MD, Mayfield neurosurgeon and Co-Director of the Gamma Knife Center at The Jewish Hospital – Mercy Health, is one of five specialists being named to the NeuroPoint Stereotactic Radiosurgery Outcomes Registry Board of Directors. The registry comprises 21 leading centers from around the United States. 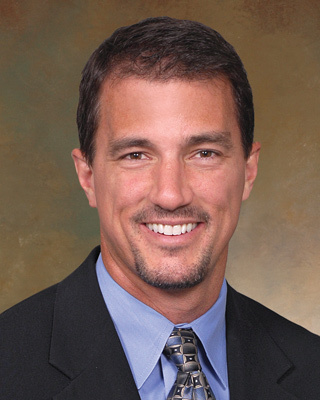 The board is chaired by Jason P. Sheehan, MD, PhD, of the University of Virginia Health System.